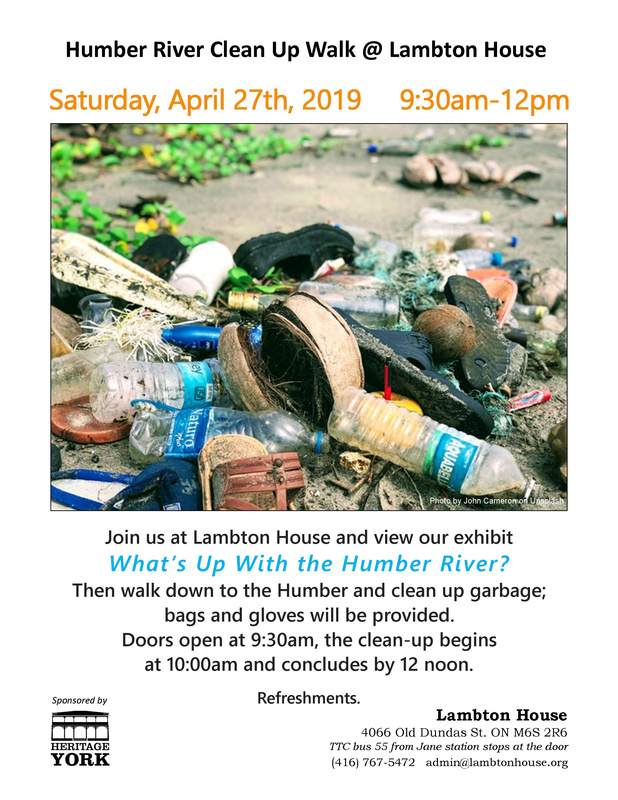 Doors open @ 9:30 a.m.
Clean-up begins @ 10:00 a.m.
Join up at Lambton House and view our exhibit "What's Up With the Humber River?" then walk down the Humber and clean up garbage; bags and gloves will be provided. Refreshments - Good will offering appreciated. Heritage Talk - "Riding into Battle - Canadian Cyclists in the Great War"
Doors open @ 7:00 p.m.
Talk begins @ 7:30 p.m. 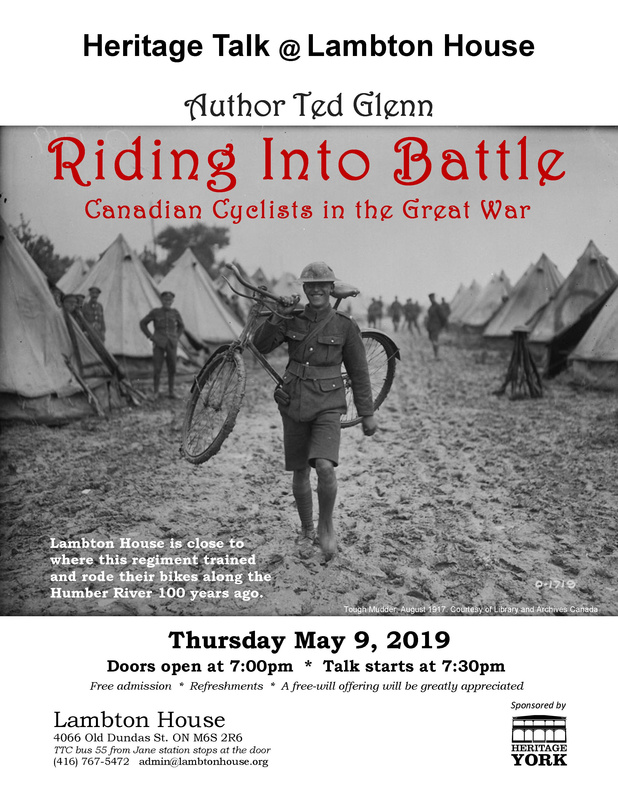 Author Ted Glenn will talk on the use of cyclists in the Great War and how they trained and rode their bicycles along the Humber River close to Lambton House over 100 years ago. 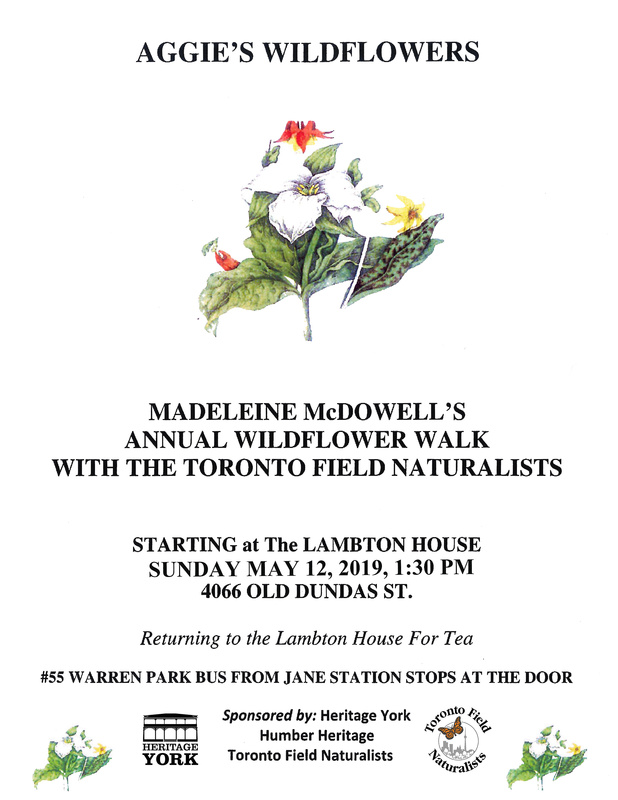 Meet at the Lambton House for an informative walk highlighting the many wildflowers found in the Humber Valley and environs. 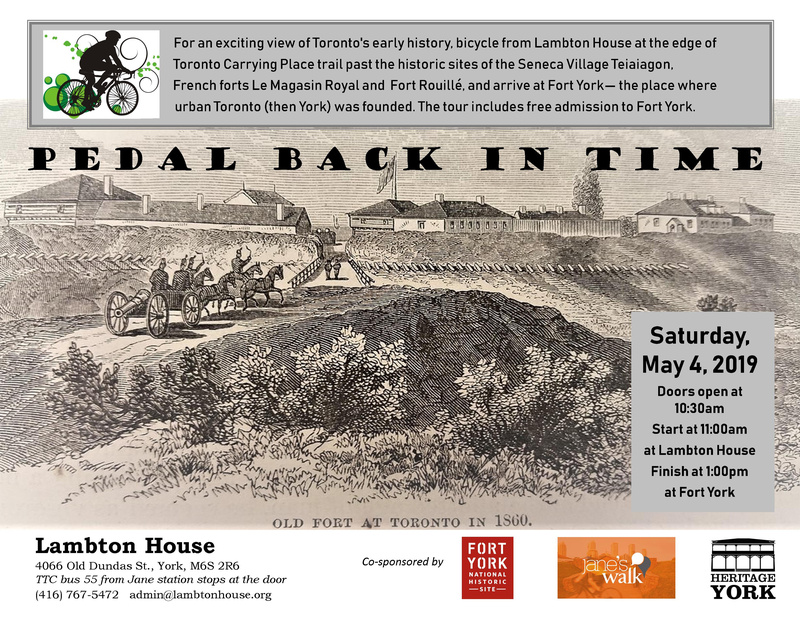 The walk will end at the Lambton House with refreshments available.